Formula 1 heads straight to Japan after last weekend's Korean Grand Prix, for round 15 of the Championship. Suzuka is a favourite circuit for many drivers because of its classic layout and its fast and technical characteristics. There are no room for mistakes at Suzuka as the circuit features a combination of corners which flow together, denying the drivers any rest. The circuit is equally challenging for the teams, who need to find a compromise for a good overall car balance. Suzuka has a high-downforce layout for which the hard and medium tyres nominated this year should be well suited. Pirelli brought the soft and the hard compounds in 2012, when we saw a two-stop race strategy. 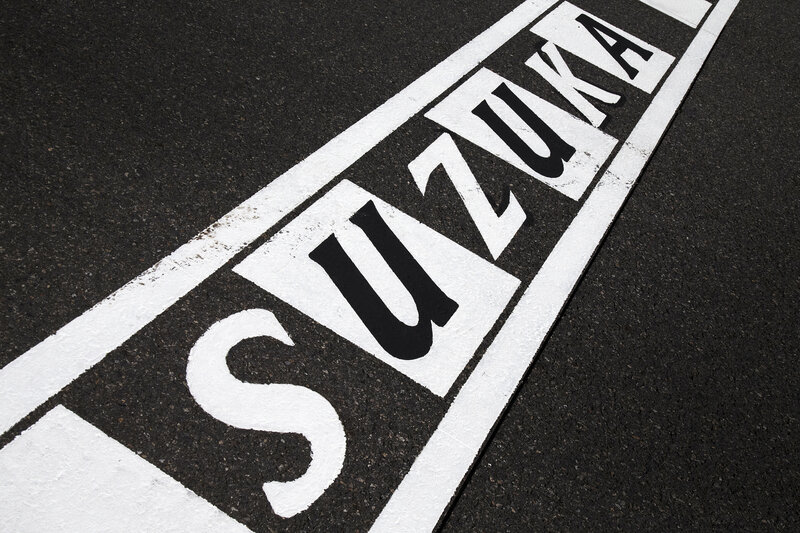 There will be only one DRS zone at Suzuka, on the start-finish straight, with the detection point right before Turn 16. The first Japanese Grand Prix was held back in 1963 at Suzuka and was not a Formula 1 race but marked the beginning of motor racing in Japan. The track was unveiled just a few months before the event and its building started after a project of Souichiro Honda, the man behind Honda’s foundation. The initial plan was to build a simple recreation facility but soon the idea changed in what became later one of the world’s famous racing circuits. The track’s layout was designed by the Dutchman John Hugenholtz, whose name is also connected with the design of the Zandvoort Circuit in The Netherlands. 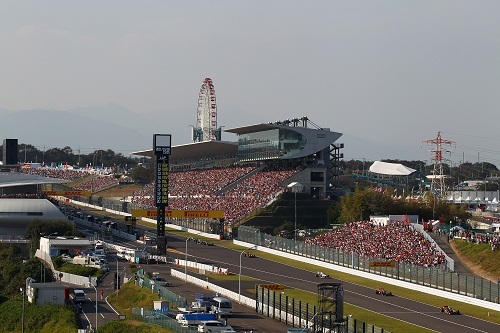 The Japanese GP was first added to the Formula 1 calendar in 1976 when the race was held at Fuji Speedway. Fuji also hosted the race in 1977, before Japan was taken off the calendar. It returned at Suzuka in 1987, which hosted the Grand Prix exclusively for 20 years. 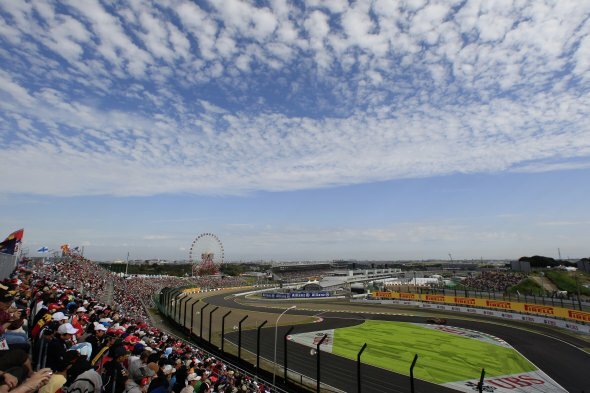 In 2007 the Grand Prix moved back to Fuji and after two years it returned to Suzuka. Photo credit: Pirelli & C. S.p.A. Since its establishment, Suzuka Circuit has been constantly modified in order to increase safety. Suzuka is the only track on the calendar with the figure eight layout, where the drivers race both clockwise and anti-clockwise. With majority of the corners being medium to high speed and only two slow-speed turns, the track requires a car with a solid balance and good downforce. “Sector 1 is especially fun to drive because it is a bit like a rollercoaster with its quick changes in elevation,” Williams’ Valtteri Bottas said, who drove in the opening practice session at Suzuka last year. In 1987, the inaugural F1 year for Suzuka Circuit, the Free Practice session was held on Thursday. In 2004, due to a Typhoon storm, the Qualifying session scheduled on Saturday took place on Sunday morning instead. Michael Schumacher holds the Suzuka records with six wins, eight pole positions and four fastest laps. On 20 occasions, from 24 races held to date, Formula 1 races at Suzuka have been won by drivers starting from the front row of the grid. The anomalous exception is Kimi Raikkonen who won from 17th in 2005. Suzuka is also famous for being the host of the most memorable Formula 1 championship deciders, with 13 World Champions being crowned here. The famous 'Degner' curve was named after German Motorcycle rider Ernst Degner who crashed his Suzuki 250cc at the circuit in 1963. The fuel tank burst into flames and Degner suffered horrific burns which required over fifty skin grafts. The 1990 race resulted in a surprise third place for Aguri Suzuki in a Lola, the first Japanese driver to score a podium in Japan. It then took 22 years until another Japanese driver went on a podium at the Japanese GP. Kamui Kobayashi’s third place for Sauber in 2012 was his only podium in Formula 1.